With Rob Cowan. Including Five Reasons to Love Tone Poems; musical challenge; Artists of the Week: the Beaux Arts Trio; Rob's Essential Choice: Handel: Ballet music (Alcina). A selection of music including '5 Reasons to Love...tone poems'. Throughout the week Rob showcases composers who use their music to illustrate or evoke a poem, story or landscape, from Liadov's Russian fairytale piece Kikimora to a trip through the wide open spaces of the Fen landscape with Vaughan Williams' In the Fen Country to the battle conjured up by Biber in his Battalia. Take part in today's challenge: two pieces of music are played together - can you work out what they are? 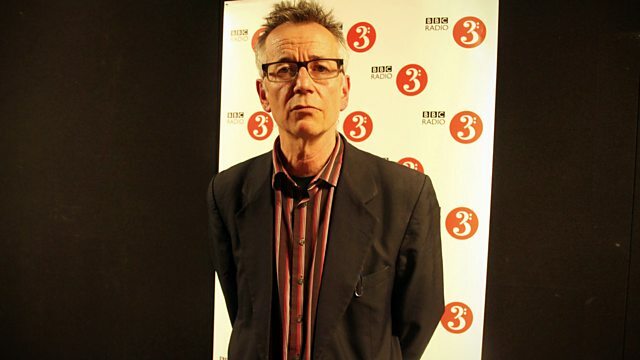 Performance poet, musician and songwriter John Hegley shares his favourite classical music with Rob. One of the country's most popular contemporary poets, John is well known for his books including New and Selected Potatoes, My dog is a carrot and Peace, Love & Potatoes. Rob's artists of the week are the Beaux Arts Trio. One of the finest piano trios of all time, the Beaux Arts Trio played together for over 50 years and received critical and popular acclaim for their highly vital and refined performances. Throughout the week Rob dips into their rich recorded legacy, exploring their interpretations of works by composers including Tchaikovsky, Schubert, Beethoven, Smetana and Fauré. After last week's exploration of the music from great Romantic ballets, Rob goes back to an earlier era with his Essential Choices for the week as he showcases Baroque ballet scores. Sir John Eliot Gardiner (conductor). Conductor: Alun Francis. Orchestra: Münchner Rundfunkorchester. Orchestra: Accademia Bizantina. Conductor: Ottavio Dantone. Victoria: Devotion to Our Lady: The Sixteen/Harry Christophers. Ravel: Orchestral works: Orchestre Symphonique de Montreal/Dutoit. Orchestra: Apollon Chamber Orchestra. Conductor: David Chernaik. Performer: Elizabeth Gaver. Performer: Elisabetta de Mircovich. Ensemble: Sequentia.